We maintain our end-2019E KLCI target of 1,810 based on a 5-year mean PER of 18x on our 2019E EPS. Downside risks could arise from an escalation in global trade tensions between the US and China which could lead to a disruption in economic growth, contractionary measures taken by the government, geopolitical tension in North Korea or the Middle East, and sell down in the bond market. The Net Asset Value (NAV) per unit was RM1.7296 as at 11 March 2019, a decline of 1.28% year-to-date (YTD) and a 7.07% fall since our initiation date on 6 June 2018. 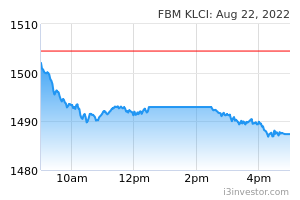 Similarly, the KLCI also fell 1.53% YTD and 6.33% since our initiation respectively. The Fund’s total NAV was RM2.892m as at 11 March 2019. For the year 2018, the fund recorded an NAV per unit of RM1.7520, translating to a total NAV of RM2.929m, a 6.2% decline yoy (NAV per unit of RM1.8681 and total NAV of RM3.123m as at end 2017). During the financial period under review, the fund underperformed the benchmark’s return of -2.98% by 1.46 ppt at -4.44%. The size of the Fund remained at 1,672,000 units. A 3.30 sen income distribution per unit was announced this year, similar to last year while the management’s expense ratio was 1.14%, 3 ppt lower than last year. During the year under review, the Fund reduced its weightings in Trading/Services and Plantations sectors while simultaneously redeploying its funds into Utilities, Consumer staples, Telecommunication services, Materials and Healthcare sectors. The Financials sector continues to make up the largest portion of the funds at 38.3%. Corporate earnings in 4Q18 were amongst the worse seen in recent years, contributed largely from big caps earnings disappointment. Looking at the larger cap companies (represented by the KLCI 30 components, of which 27 are under our coverage), 33% reported earnings that were below our expectations. Being heavyweights, the impact of this disappointment was significant. Cumulatively, 4Q18 core earnings fell a sharp 23% yoy or 14% qoq, one of the largest ever quarterly earnings contraction in recent years. The main drag to earnings expectation came from Telcos, Transport and Utilities sectors which contributed a combined RM3.1bn qoq decline in 4Q18 earnings (-RM3.8bn yoy).